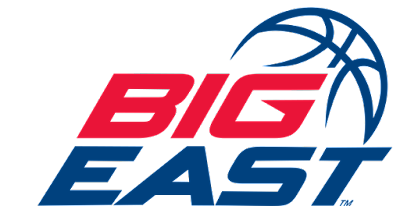 Coming into Wednesday and Thursday’s games, spots three to ten were separated by half a game as a little separation would be created on this edition of the Big East mid-week recap. - Another night, another Markus Howard dominant performance as the junior led all scorers with 32 for Marquette. Three-point shooting played a big part in the win for the Golden Eagles as they shot 8-of-16, while the Bulldogs struggled at 6-of-26. Kamar Baldwin led Butler in defeat with 16 points. - In need of a win in league play, Myles Powell proved to be the catalyst for Seton Hall with 31 points, which snapped a four-game losing streak. Alpha Diallo delivered with another robust performance with 21 points and four steals for the Friars. - The Villanova Wildcats continue to plow through one opponent after another with an 8-0 start in Big East play, behind Saddiq Bey’s first career double-double (16 points and 11 rebounds). Three-point makes proved to be vital for the Wildcats as they went 15-of-35 (42.9 percent) with nine of them coming in the second half. - Shamorie Ponds picked the perfect time to have his most complete game of the season with 26 points, eight rebounds, eight assists and six steals as St. John’s came into the contest losing four straight games. Quality shooting also played a key role in the Red Storm’s win going 57.1 percent from the field. - The Hoyas needed a second half comeback in order to make it back-to-back wins and got what it needed behind 10 of James Akinjo’s 23 points in the final five minutes of play. Naji Marshall (16 points), Paul Scruggs (15 points) and Quentin Goodin (14 points) made all 12 of the Musketeers’ three-pointers as they dropped their fourth straight game overall. Providence (13-8, 3-5 BE) at DePaul (11-9, 3-6 BE), 2:30 p.m.
Xavier (11-11, 3-6 BE) at Creighton (12-9, 3-5 BE), 1 p.m.